There are a lot of chemicals that go into cleaning supplies, and unless you’re wearing a mask and gloves each time you use them, you’re probably absorbing some of said chemicals. The funny thing is, it’s really easy to clean without using anything harsh. Here are my go-to cleaning supplies. First one is a microfiber cloth. These things are great. They’re fantastic for dusting and wiping countertops. When they get dirty, I throw them in the wash. We bought a couple packs of three from Fry’s for $4.99. I think they work better than paper towels for spills, and you don’t end up throwing anything away at the end of the day. 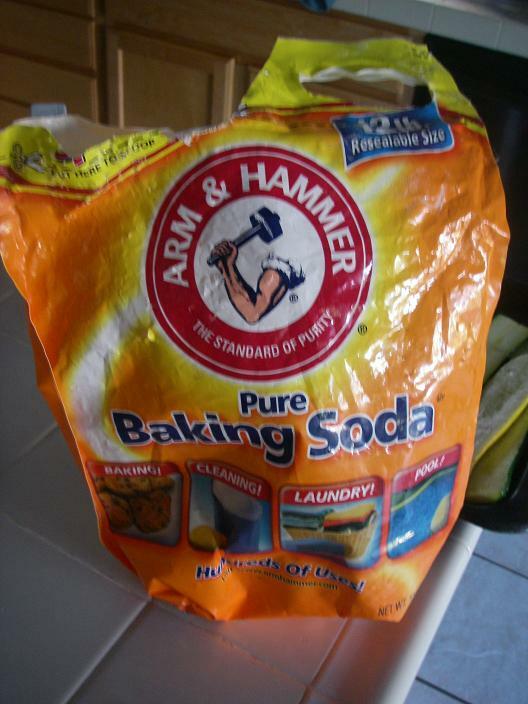 Twelve pound bag of baking soda, nearly depleted. Not only is it great for unclogging drains, but it works wonderfully when you need to scrub things. Pans, countertops, floors…it’s cheap, it works great, and it won’t scratch. I use it constantly on my stainless steel pans. Helps make them nice and shiny. A bulk bag at Costco is only $7, last time I checked. I say last time, because a 12lb bag lasts for a really long time. Vinegar, dish detergent, water, and an empty spray bottle. 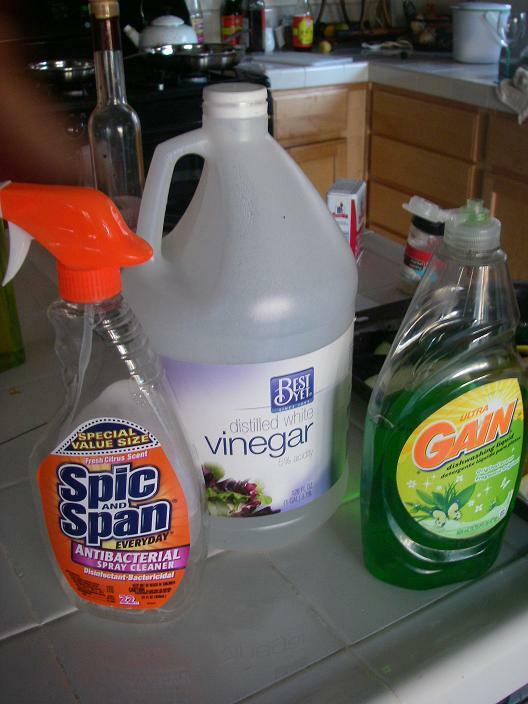 Spray bottle, vinegar, and dish detergent. Add water for instant homemade cleaning solution. I don’t use Windex. I just eye it, but the official recipe is 1/4 cup white vinegar, 1/2 teaspoon liquid soap or dish detergent, and 2 cups of water. 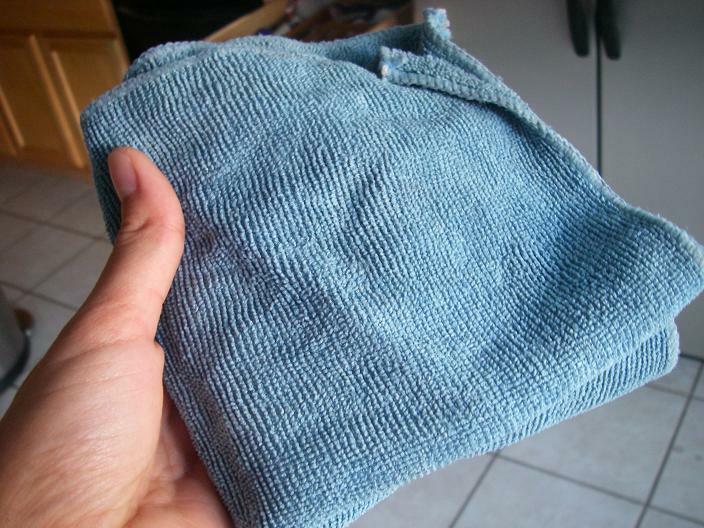 I also use this to clean other areas – bathroom, refrigerator drawers, etc. Vinegar cuts through grease and disinfects. Vinegar FTW! Forget making lemonade, clean with it! For that breezy, citrus-y scent. I hear-tell that if you hate the vinegar smell, you can add some lemon juice to your mixture above. The smell doesn’t bother me though, so I haven’t tried it. What I like about lemons is the way they act like bleach. Ever had a friend who spritzed lemon juice on their hair in the summer to make it lighter? I like to use it on my tile countertops (with white grout). 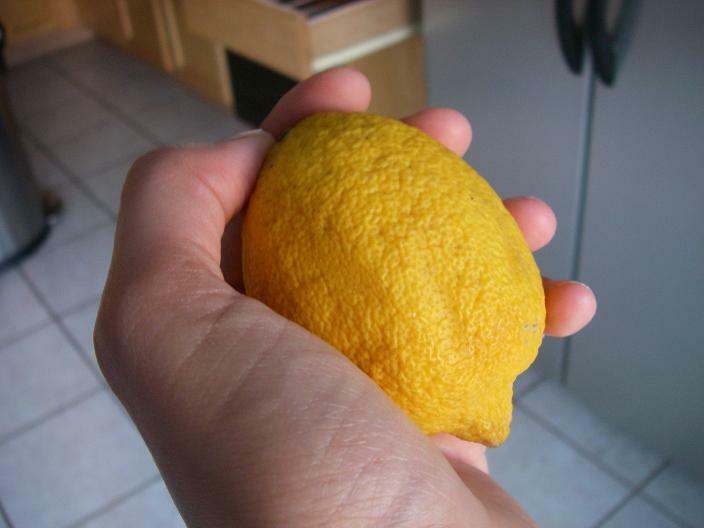 Let the lemon juice sit for a while, then scrub away. You can also dump the halves down your garbage disposal if it’s getting rank down there.